1:20 Why would we ever bring this podcast back? 2:37 Before jumping into the election how did Walton end up in Switzerland? 8:00 Neoliberal era is it coming to an end? 9:24 What in the world will Trump do? 19:20 What ground work do we need to start laying now, from the Occupy movement experience, 2008 debt and 2001 etc. 34:10 Jumping back in time to Jim Crow and legal racism, sexism, etc. 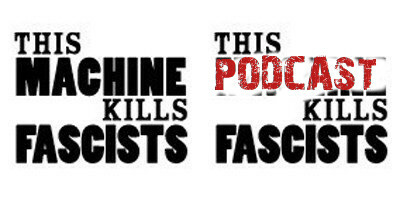 Posted in Podcast and tagged #AntiFa, #Fascism, Bitmask, Brexit, Chaos, Class, Class Analysis, Drumpf, Election2016, Fascists, FLOSS, FOSS, Identity Politics, Marches, Occupy, Omemo, otr, protests, Signal, Telegram, Tor, Trump, US Elections.